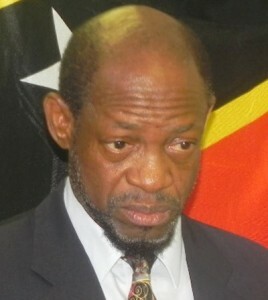 This week Denzil Douglas said he intends “widespread and powerful resistance to the evident threats and injustices against the democracy of people of St Kitts and Nevis.” This demonstrates how truly strong Denzil is, because he was able to say this with a straight face, despite trying to change the election boundaries just days before the last election and being prevented from doing so by the Privy Council in London. This is just days after he delivered on a promise from 2012 to move forth Motion of No Confidence. However the reality is that Denzil Douglas has instead planned a “large and massive” or as Denzil Douglas described it “yuge” cry in. Denzil Douglas has issued a statement to all Labourites requesting them to gather at Government Headquarters during the next sitting of parliament to sit out side and whine like cry babies. In preparation for this cry in, the Labour party has purchased all available tissues on the shelves of stores leading to a massive shortage of tissues. This comes at a time when a seasonal flu has just hit our schools and is spreading from students to parents, leaving those with real tissue needs to be unable to properly deal with their snot.